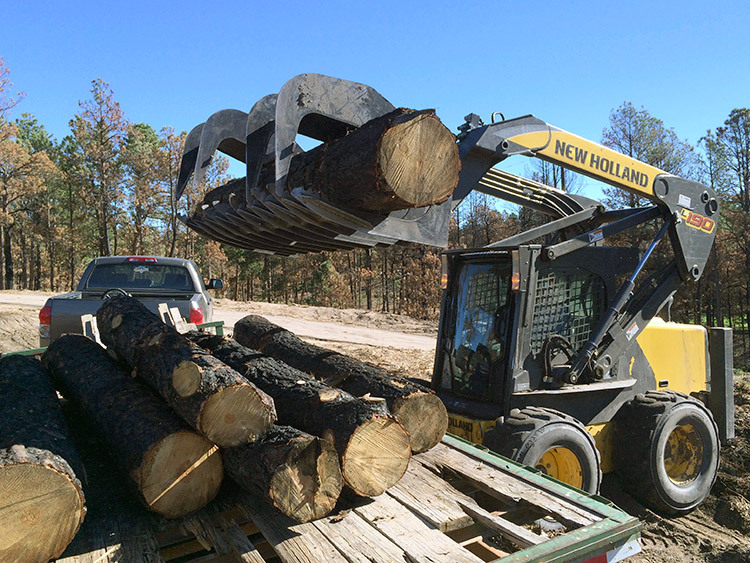 For those of you who many not know, Stauffer & Sons Construction does much more than just build new homes—we also have a strong log and timber background, and from time to time, we tackle some commercial construction projects. 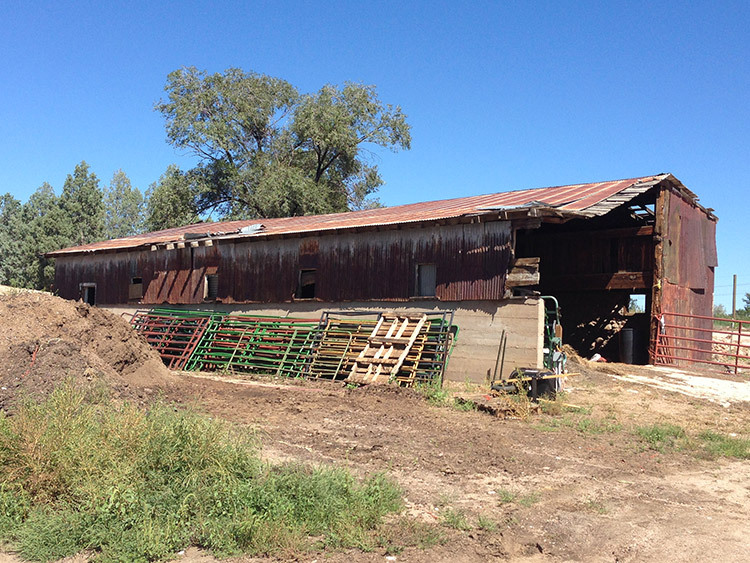 We’ve recently begun a very exciting new project: helping rebuild parts of Venetucci Farm, a local community farm famous for its Pumpkin patch that Colorado Springs families have enjoyed for over 60 years. Venetucci Farm has been a local institution in the Pikes Peak area, and has given away free Pumpkins to more than a million local children since the 1950s. Over time, however, the farm had its share of challenges: the original barn on the property collapsed, and the Venetuccis were no longer able to keep running the farm. 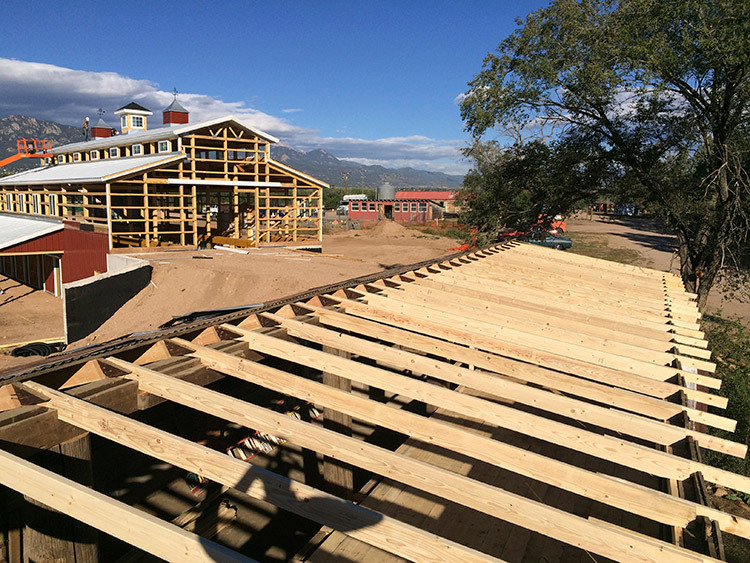 Fortunately, thanks to the Pikes Peak Community Foundation, a community effort was started to “Raise the Barn,” which offered financial support to help build a new barn. Stauffer & Sons was selected as one of the contractors for this project, and we’ll be helping in two ways: first, by completing the interior of the new barn, and second, by repairing and re-purposing the old asparagus shed which is over 100 years old and full of history and character. The barn’s shell was raised by Morton Buildings (based in Illinois, they’re one of the largest barn building companies in the USA), and we are working on interior construction which will include five horse stalls, a tack room and wash area, a root cellar, a hay loft, an industrial kitchen, and a greenhouse. This new barn will be a tremendous new asset to the farm and allow them to keep their hay out of the rain, protect the horses and chickens during winter time, and grow plants even when the weather’s cold. Something we’re doing that’s unique to this project is the timber: the lumber we’re using for the shed and interior of the barn came from pine trees that were burned in the Black Forest fire. We asked our friends Kristian & Jaenette Coyne (whose home we’re rebuilding after the fire) if we could use some of the trees from their property that were scorched in the blaze. They eagerly agreed. 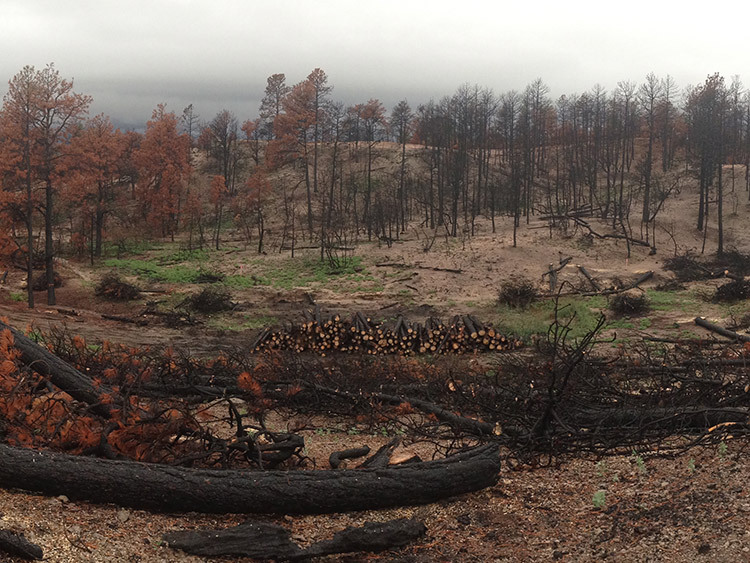 We went to their property and chopped down the burnt Ponderosa Pines, carefully selecting the best logs we could find. 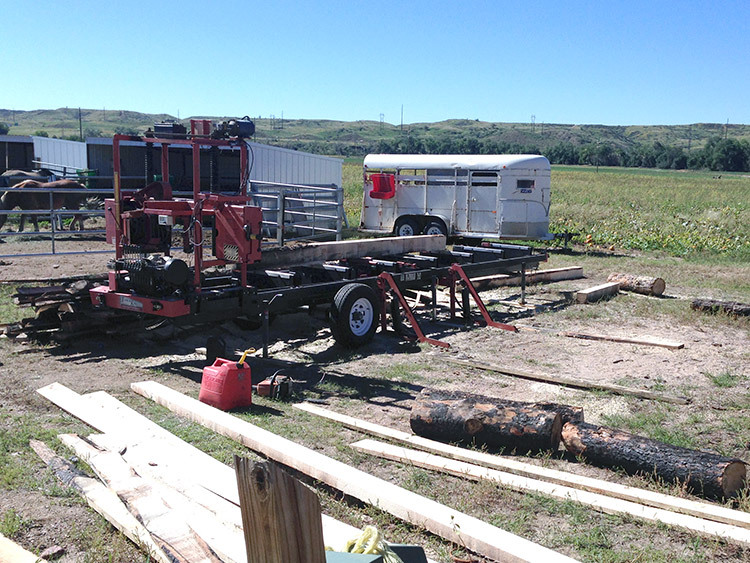 We then took them to the farm where we set up our portable mill, so we can mill them into construction-ready timbers (which are square or rectangular), free of bark and branches. Even though the logs are fire-damaged on the outside, they still retain all their structural integrity and strength on the inside and are perfect for building timber structures. When we first saw the shed, we had initially wondered if it might be more efficient to simply tear it down and start over, until we took a good look at the structure. We found a hand-made foundation built out of stone and mortar that simply has too much character to demolish, so it was decided that we would work to restore the shed, and re-use as much of it as possible. So we’re adding new posts, rafters, and beams to make it structurally sound, safe, and watertight. We’ve just started on this project and will continue to post updates as the building progresses. We’re very proud to be a part of helping to rebuild Venetucci Farm, and we wish them many more successful years. We’re happy to have such a great opportunity to help use things that were destroyed in a fire to help create something new!